When I mention the possibility of making money by working with brands, your knees turn to jelly and your mind begins to race. “I don’t have enough page views. They wouldn’t want me,” you explain. 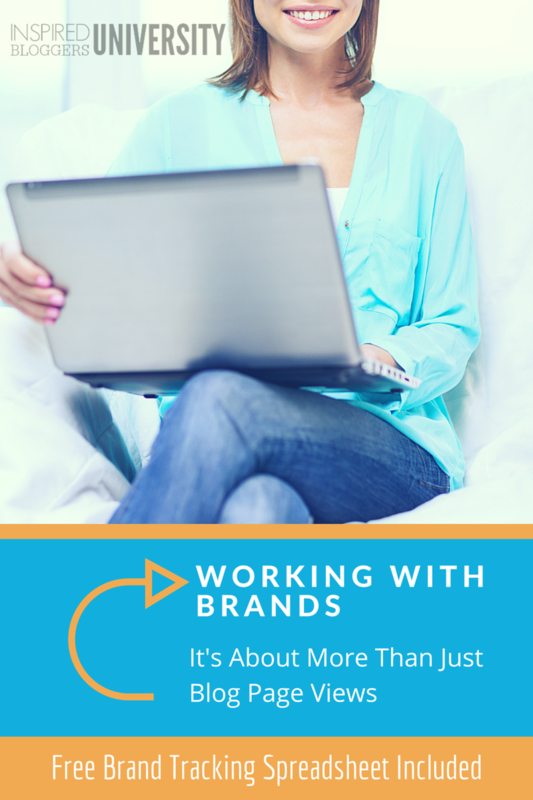 Over the course of my blogging career, I have been blessed to work with a cornucopia of brands. Big brands, little brands… some who did not know they were brands. But a few things are the same, regardless of company size. Brands want a trustworthy relationship. They are always looking to work with someone dependable who will deliver value. If the most important part of working with brands is in the relationships, why so much emphasis on page views? Because page views make a difference but they are not always as important as you think. Audience size is second runner up to 1) your niche and 2) your engagement. General niche needs a larger audience. Bloggers who struggle to choose a niche will also struggle to find brands willing to work with them if they have fewer page views. Think about this like a bag of marbles. You love to collect marbles. All shapes and sizes. Doesn’t matter what they look like. You just want a bunch of them to carry around in a bag. One afternoon, you decide that you want to look at only the blue marbles. You reach into your massive bag of marbles and pull out… an orange marble. Nope. Back into the bag it goes. You try again. Nope. A green marble with yellow swirls. Geez. This is hard! Why? Because your bag contains all different kinds of marbles. Finding your ideal marble is a lot more difficult. Likewise, if a brand marketer is wanting to reach one particular type of reader, they know it will be more difficult on a blog with varied topics. Because a general niche fails to have a specific audience, a brand will consider the potential return on their investment to be lower. will want to pay the blogger less for the same type of advertising. 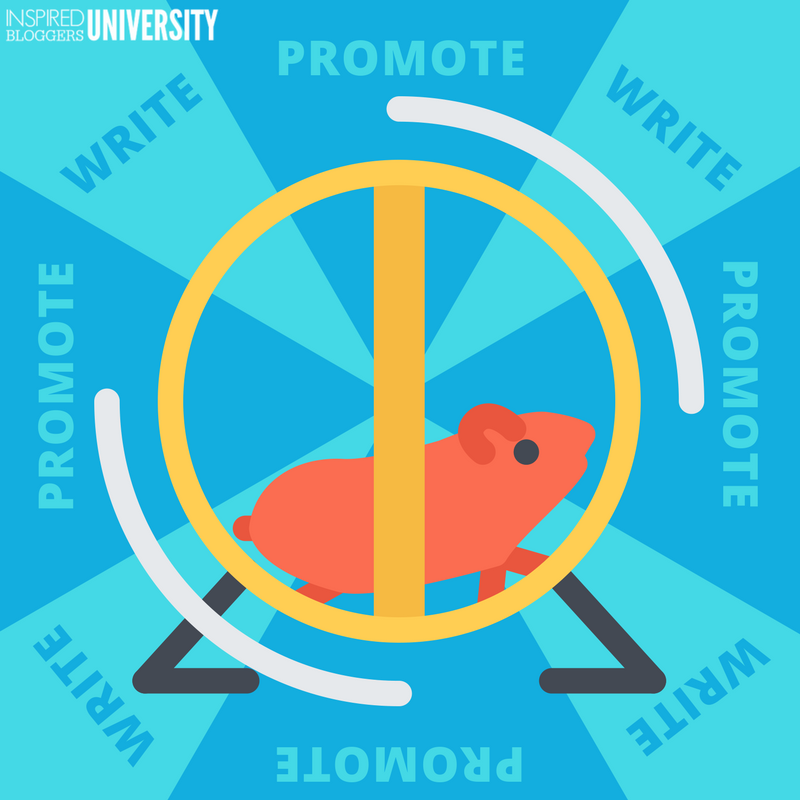 Micro-niche means smaller audience but targeted audience. Now consider a different approach to your marble collection. You decide that you only want to gather clear marbles. They may not be exactly the same on the inside but each has the similar characteristic of being clear. Marbles like this are harder to find, but you are very precise. While it takes longer to grow a collection, you know that when you are ready to look at a clear marble that is exactly what you will pull from your bag. If a brand wants their product presented to a specific interest group that can easily be found on your blog, the number of readers is not as critical because they know exactly what they are getting. 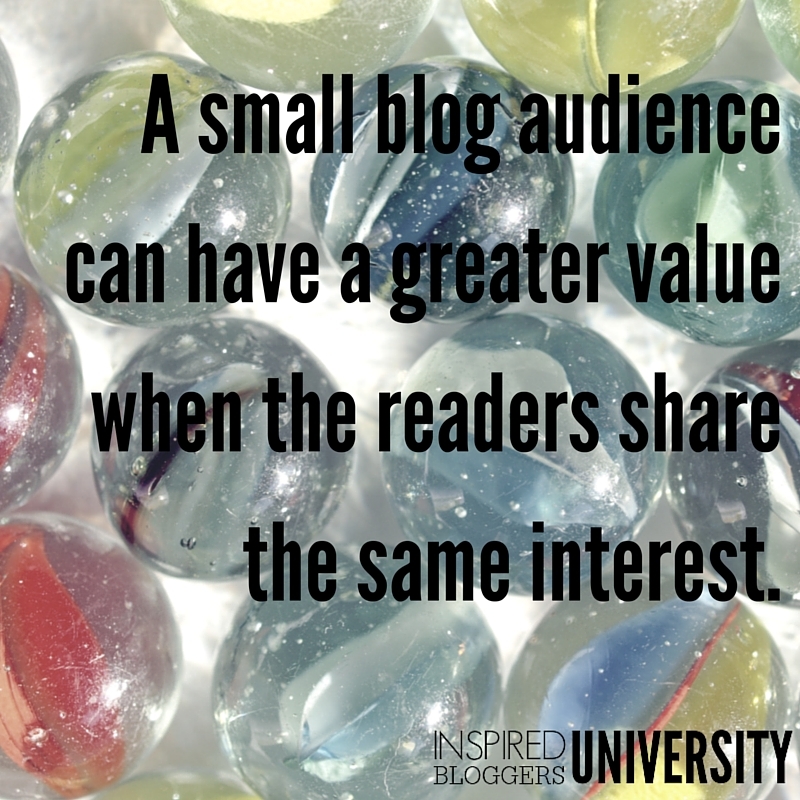 Therefore, a smaller blog audience can have a greater value to a brand because their interests are all the same. If this is true, then why do page views seem to be so important? There are reasons why a company would want to work with a blogger who has an abundance of page views, but the requirements depend on the goal of their campaign. Larger general niche blog with less engagement. Perhaps a brand’s goal is product recognition. The main purpose of their campaign is to have a lot of eyes on their brand. They hope that by pushing their logo into a crowd of people that those readers will feel a greater connection with the product when they see it in the store. 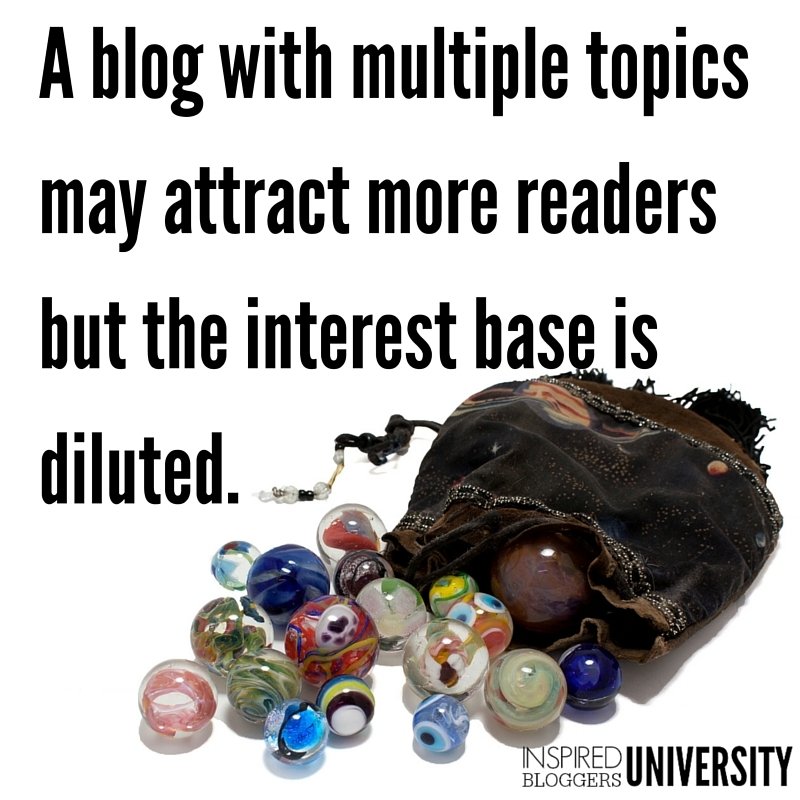 The engagement of the blog is not as important as the size. The topic is somewhat important but it is not critical to the campaign’s success. So, the marketing department chooses a large blog. Smaller micro-niche blog with moderate to high engagement. But, what if the goal is conversions? If the brand is looking for product sales or to grow an email list of hot leads, the campaign requires a laser focus. The company knows exactly who their target audience is, and they look for topical blogs to match. If the audience is responsive and the blogger maintains an active community, the brand understands that the readers TRUST the blogger. Trust is easily measured by the amount of transparency shown when readers engage. As for the amount of engagement needed, the average engagement per social media platform varies. But how does a brand find you? How can you get their attention? If you want a brand to invest in you, invest in the brand. When you use their product, show it off on social media. And tag them! Use pictures to show off how you are using their products. Include them in your blog post. Staying the night in a hotel? Share a picture of the comfy bed on Instagram and tag the hotel. You can share the location if you choose. Cooking with a certain ingredient or tool? Mention the company in a tweet when you post the recipe. See a brand share a post to Facebook? Re-share it to your blog’s Facebook page. Notice a hashtag on a brand’s marketing? Use it to share relevant content that adds value to the brand. Engage with your favorite brands on social media by commenting, liking, sharing, and retweeting their posts. Big companies are seeking engagement just like bloggers. Plus, when you can add value to their message, they will love you even more. You want to clearly communicate that you are a huge fan of a brand before you ever contact them with a pitch. Despite the numbers, engagement, and niche, you must remember that brands are actually run by people. People who are looking for meaning in their lives. People who desire relationships. When you build genuine relationships with the people managing a brand’s marketing, you getting a double bonus. Not only do you make a friend, but you become the person they think of when a new campaign matches your blog. The best way to meet the public relations team for any brand is at blog conferences. Brands will sponsor a conference with the intent of scouting for bloggers. They pay for the food you eat, bring loads of swag, and want to work with you. It’s the ideal situation! So choose your conferences wisely and research who the sponsors will be. Preparation is always key to your success. As you build relationships and before you send your pitch, you need to put on your super sleuth hat and do your research. Ask yourself some important questions about why you want to work with a brand and determine if that company is a good fit for you AND your audience. How are they marketing themselves currently? Are they focusing their marketing on a new product? Have they sponsored content on other blogs? Who is the media/PR contact? Also google to see if other bloggers are talking about the brand. Which product did they review? Which benefits did they feature? Which benefits did they miss? As you research the brand, keep notes in a brand tracking spreadsheet so you can easily reference the information and save time in the future. Another tip: Every time you mention the brand on your blog or in your social media, link to their website using a short link that will track the number of clicks. If the number is good, mention it when you approach the brand to prove your audience is interested. Then, when you are ready, send your pitch. A brand will never work with you if you do not first express interest. Yes, you could wait for them to approach you, but why? Start building relationships and making money today. 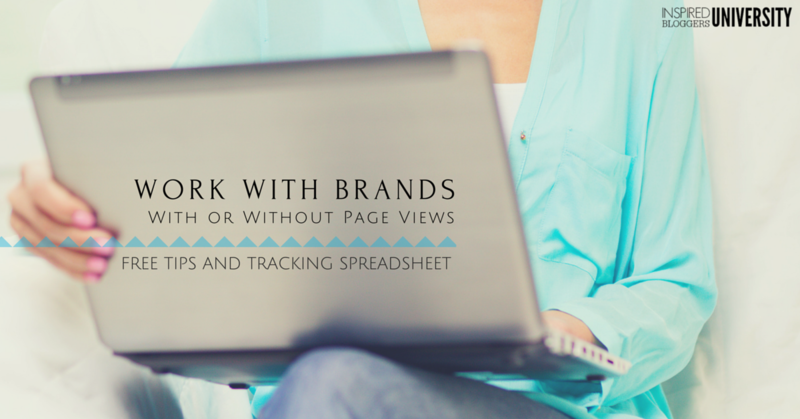 Want the spreadsheet I use to research brands? 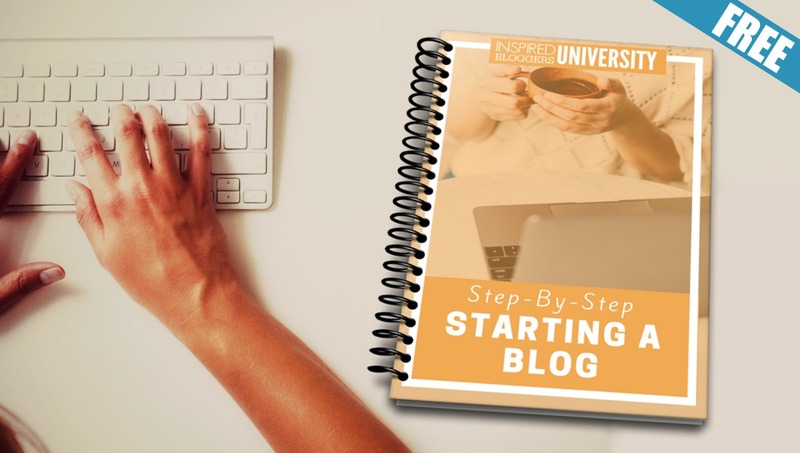 Get it for free as an Inspired Bloggers University Member. You can sign up for FREE and find the spreadsheet on your profile page. Really helpful post, thank you! I’m just starting to plan which brands I want to try to partner with, and it was great to confirm that I’m going about it the right way so I can pitch with confidence.